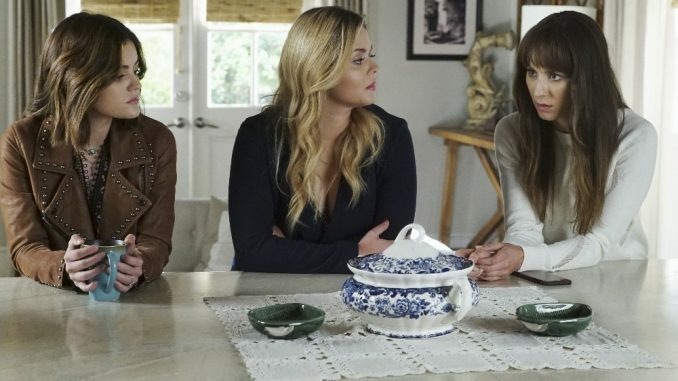 “Pretty Little Liars” is officially coming to an end next year, and on Wednesday, show boss Marlene King explained why it’s nearly time to say goodbye to the residents of Rosewood. Earlier this week, it was announced that the final 10 episode-run will begin in April 2017. When the show resumes, don’t expect a major time jump, King said. “It is one of our ‘moments later’ premieres so Ali will not be super pregnant, she’ll just be a little bit more pregnant than she was last night,” King said. And Allison’s (Sasha Pierterse) pregnancy will drive storylines, the EP said in response to one reporter’s question. “Yes, absolutely for both Allison and her friends — especially Emily,” she said. But, could there be more to her pregnancy? 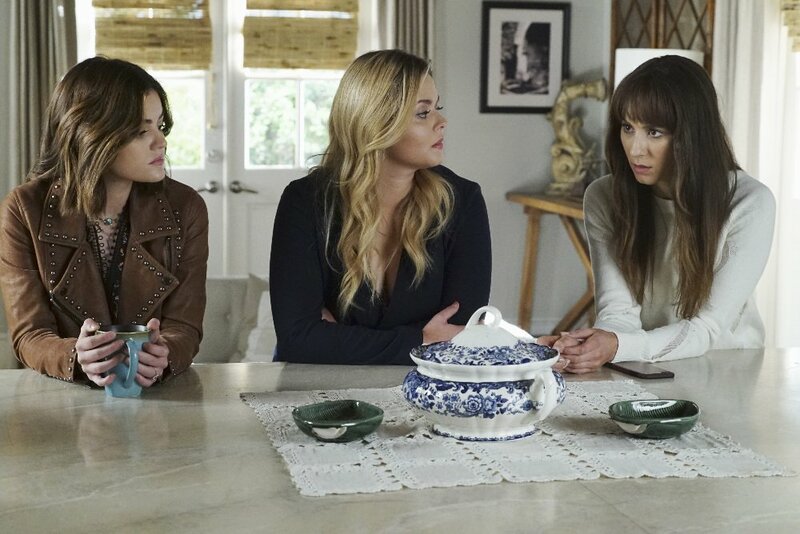 “I would say nothing is average in ‘Pretty Little Liars,’ so you can take that to fuel your theories. Everything is a little bit spectacular,” she responded. Wren Kingston (Julian Morris) is among the characters coming back for the final episodes, something King expanded on. “We’ll see him in more than one episode, which is fantastic,” she told reporters. King also addressed the Season 7 promise of a wedding. “There will be more than one wedding,” she revealed. When a reporter asked if that meant two weddings, King said, “maybe more,” adding even more speculation to the fire. King went on to sum up “PLL’s” final episodes.